The Washougal Schools Foundation is committed to enhancing the quality of public education within our community by providing financial, intellectual, and physical resources for our students. The Washougal School District serves 3,015 students in seven schools in rural Southwest Washington. Our community has many families in need. The mean average for all schools with students receiving free or reduced fee lunches is 42%. The Foundation recognizes that there are many areas of need in our community today, and not enough financial resources to go around. The Foundation believes that wise investment in the education of our students will help prepare them to constructively participate in the improvement of our community. We believe that wise investment in education allows student the ability to constructively participate in the improvement of our community. We make a living by what we get: we make a life by what we give. 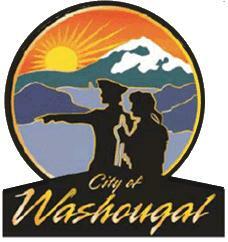 The Washougal Schools Foundation serves the Washougal School District and community. As it formed, the Foundation Board agreed that targeted fundraising and clear planning will allow us to create an organization that is not constantly raising funds to survive. By investing the principal of our Endowment Fund and using only the interest earned to fund worthy programs, we can build a base of financial support that will help Washougal students and educators for many years to come. In this way, your donation will be a lasting gift that will benefit our students and community for generations. Gifts of any size are welcomed to our Endowment. You can send your tax-deductible donation to PO Box 591, Washougal WA 98671 or donate securely online to provide a valuable contribution to a lasting legacy in support of education in Washougal. Who manages the Washougal Schools Foundation funds? The Washougal Schools Foundation’s endowment funds are professionally managed through Riverview Asset Management Corporation, a subsidiary of Riverview Community Bank. Find out more about Riverview Asset Management. The WSF Endowment was given an incredible boost in December of 2005 from retired local business leader, Norm Danielson. We are delighted with the Danielson family’s donation. When someone of his stature makes such a substantial gift, it affirms the work of our foundation. We proudly thank the following leading businesses, individuals and organizations that participated in the Washougal Schools Foundation “Founders Drive.” Founder status is given with gifts of $5,000 or more to our endowment. The combined contribution of our Founders was more than $55,000 and was used to start the Foundation’s Endowment Fund. We appreciate these lasting gifts that will benefit Washougal students for many years to come. George Schmid and Sons, Inc.
You don’t have to give money to be a part of building strong schools. There are many ways to volunteer your time. Attend an event that benefits the Foundation. Volunteer your time on one of the Foundation’s committees including Endowment, Fund Raising, Funds Disbursement and Communications/Outreach. Tell a friend about the Washougal Schools Foundation and encourage them to become involved. Contact the Foundation and offer to volunteer to speak in a school classroom regarding your career or special interest. Attend a board meeting. WSF Board meetings are normally held at 6 p.m. in the Board Room at the Washougal School District Office. Meetings are normally held on the second Wednesday of each month September through June. For more information on how you can get involved, contact us, or call Kasey Morales, President, (360) 607-4902.